An association of Asian constitutional courts will open a permanent secretariat dedicated to research purposes in Seoul next month, the city government said Wednesday. The Seoul Metropolitan Government said the Association of Asian Constitutional Courts and Equivalent Institutions Permanent Secretariat for Research and Development will open in central Seoul in January. The association, comprised of institutions from 16 countries, was launched in 2010 to increase the exchange of information and experience in constitutional justice, according to its website. 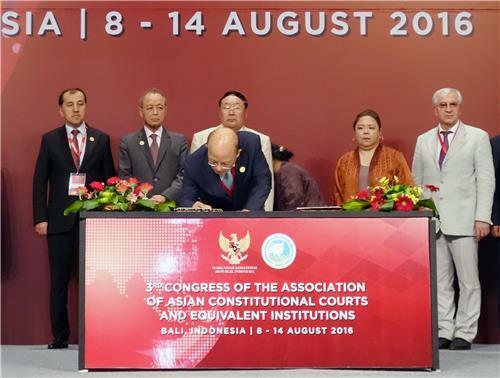 In August, it adopted a declaration to establish permanent secretariats in Seoul and Jakarta.